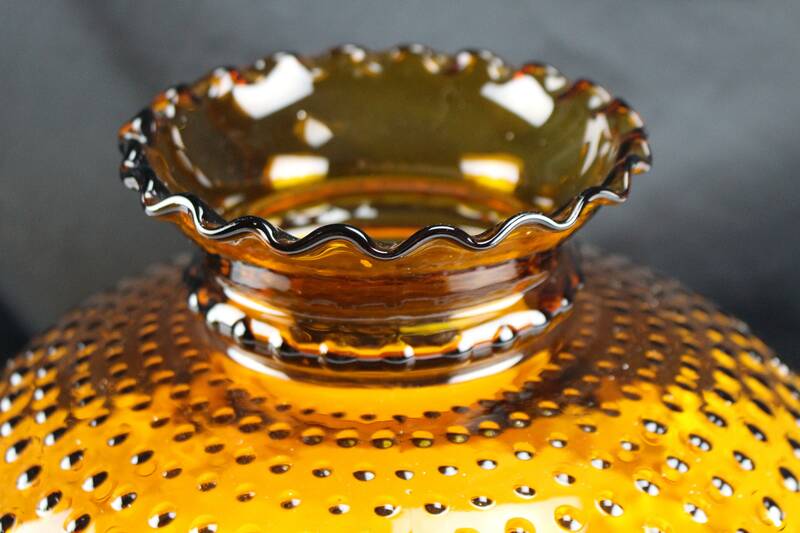 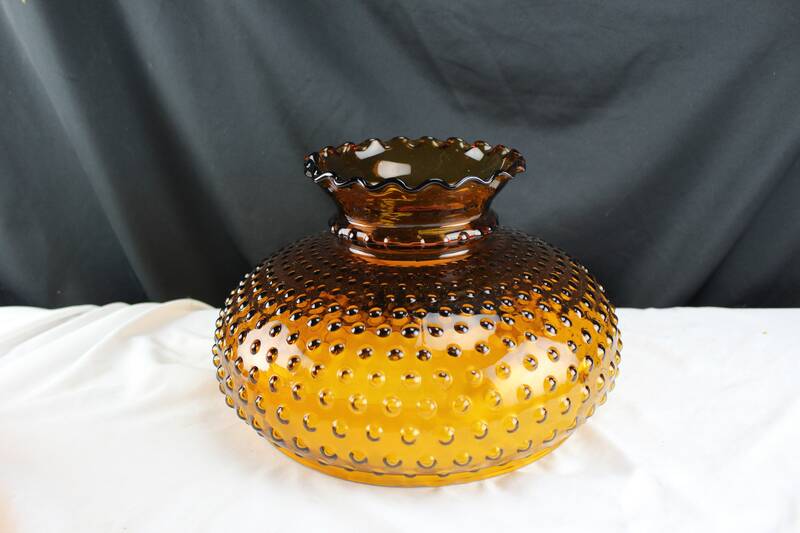 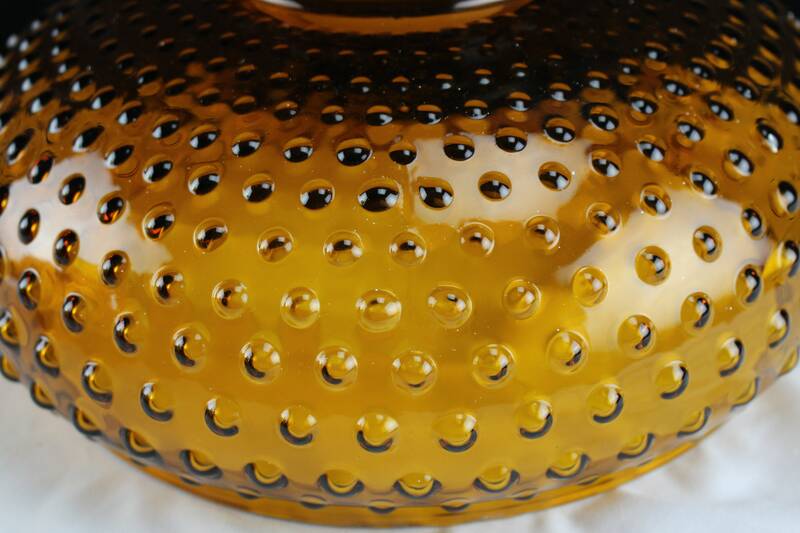 What a nice shade of a dark honey amber with graduated hobnail pattern and a ruffled edge. 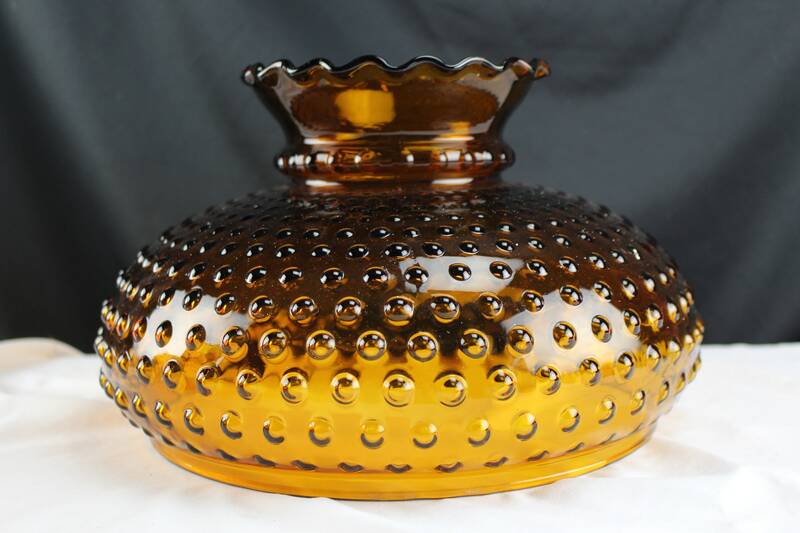 Fenton made these glass shades for Gone With The Wind style lamps and lanterns. 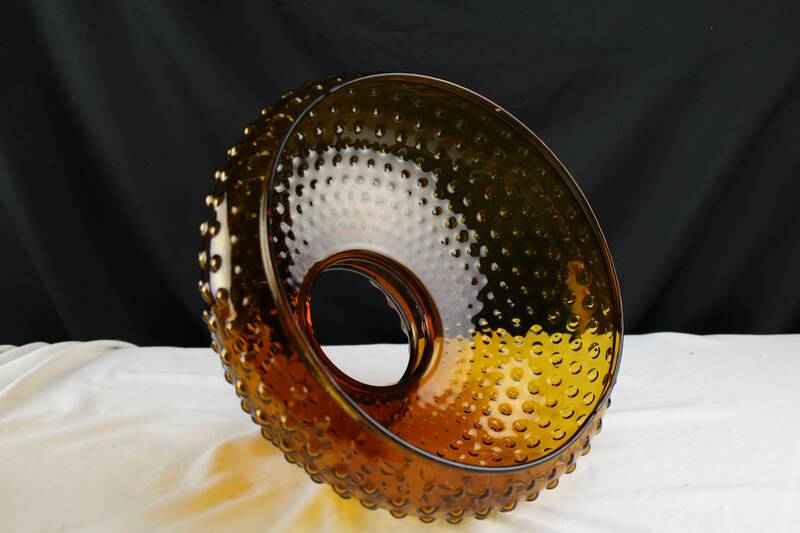 It fits on a 10" fitters ring total of 12" wide and 6 5/8" high.